For most big business owners, the need for a reliable POS System is obvious. 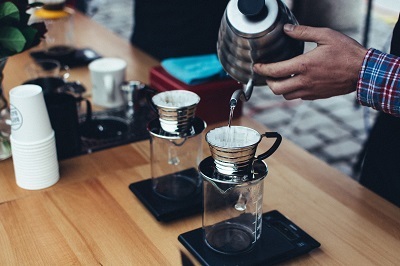 However, some smaller businesses, such as cafes (coffee shops) are proven wrong when they think big business are the only one's in need of these solutions. As a matter of fact, the smaller the business, the more important it is to form relationships with customers and to offer a quick, satisfying experience. Nothing does this better than a custom Cafe POS System. When cafe owners think of the benefits of a POS system, they usually come away with just the one all important perk: inventory management. 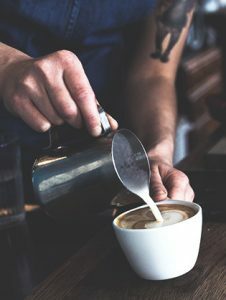 While managing the many different flavors of coffee, tea, sweeteners and creamers would definitely be high on the requirement list, and a reliable Cafe POS System can handle the inventory perfectly, it is definitely only one of the many important benefits of a point of sale solution for bakeries. Managing your coffee stock will be of no concern if customers aren't happy with your service or the time it takes to receive their caffeine. A Cafe POS System can act as a great new employee as they can be configured to remember consistent customer orders, print directly to preparation station for quick service and even be converted into a customer-controlled kiosk to allow customer to choose their own coffee combinations. These perks will give your business a face in the minds of your customers and help with branding. Because of the capabilities of a custom Cafe POS System, merchant services can easily be implemented that will allow your purchases to be quick and accurate. Without having to deal with a third-party machine to handle transactions, you can stay face-to-face with the customer and handle the checkout quickly all in one place. A good cafe point of sale solution can even be configured to offer loyalty programs, such as coffee punch cards or discounts right at the checkout counter. With the add-ons that work together with the POS system you can configure your whole establishment to the comfortably of your guests and create a well organized, successful atmosphere. 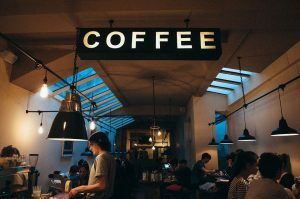 Even before hiring the 1st employee, cafe owners should look into implementing a reliable Cafe POS System into their business, because chances are, you might find yourself hiring less employees than you thought.